Gatefold Invitations measuring 210mm x 147mm (open), 105mm x 147mm (closed). Produced using a top quality hammered textured card (270gsm). 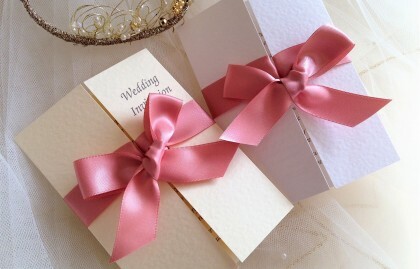 Gatefold invitations are available on white or ivory card. Supplied with free hammered textured envelopes to match.